Sensitivity adjustment and light/ dark switching on rear side of fork. Visible red light and laser. 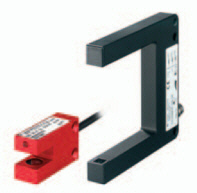 Purchase your Leuze Optical Forked Detection Sensors GS 04 today!